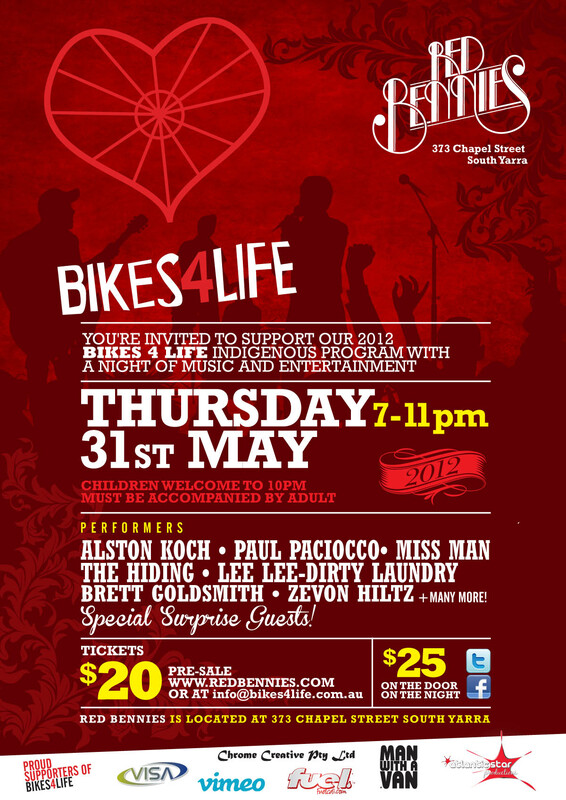 The event is in support of our Bikes 4 Life Indigenous Program, and to celebrate our recent success in Africa, where we delivered 400 bicycles to remote communities and set up a bike workshop for former child soldiers and victims of Kony’s war in northern Uganda. There will be food, music, magic and a short film preview of our work in Uganda. Thanks for your support and I truly hope to see you on Thursday evening!